Satisfactions gave rise to indulgences: pure lies, fabricated for the sake of profits. Christians often sin; it is as natural as breathing. Yet, when Christians sin, they know it. The Holy Spirit makes them aware of their sin and the guilt of their unrighteousness. As there is no righteousness within us, save the Spirit of Christ, we cannot correct either the sin or the unrighteousness. 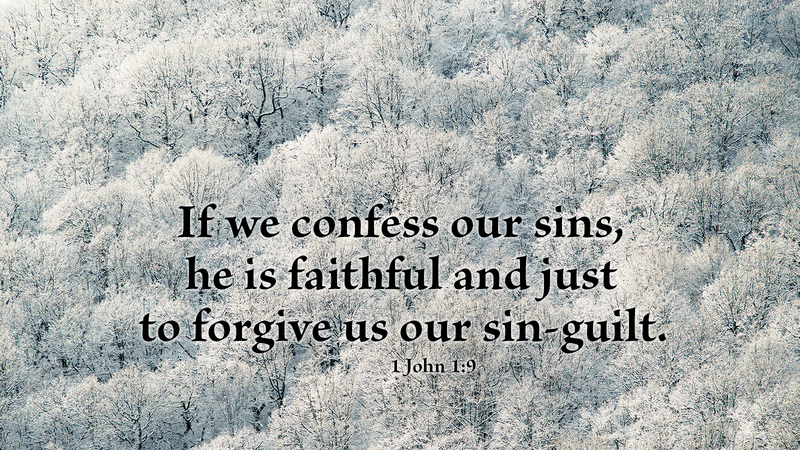 We must turn to God in faith and ask forgiveness through the blood of Christ. It is the only way. We cannot pay for forgiveness or earn it; nor may we expect another to do so for us, as all are unrighteous. But if we simply ask God for forgiveness, he will forgive us of the sin and relieve us of the guilt, all on the basis of the shed blood of Christ, but never on the basis of our own merits. Prayer: Forgive me, Father, for Christ’s sake. Amen. Adversity is all around us. There is no getting around it. Sometimes we cause our own adversity; other times bad things just happen to us. No matter what it is that we are going through, we are never alone. There is someone who is always by our side through thick and thin. 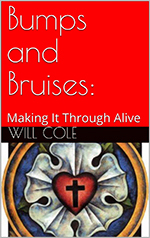 In Bumps and Bruises: Make It Through Alive, we talk about the problem that we have and the solution to that problem: Jesus Christ. We will also discuss some tips on how to get through adversity, and the tools that God gives us.